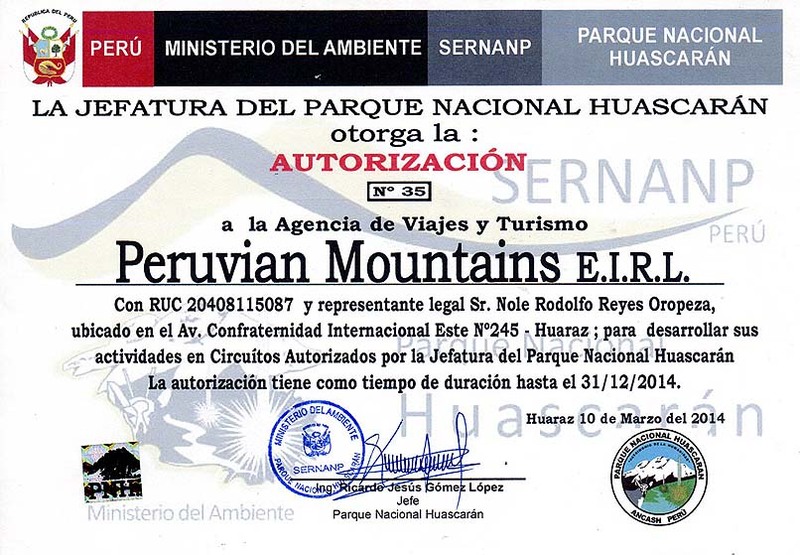 Learn more about Peruvian Mountains E.I.R.L. 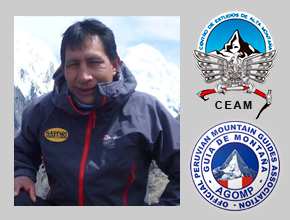 Peruvian Mountains founded and run by Rodolfo Reyes Oropeza professional mountain trekking guide. 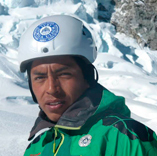 We are an experienced and reliable guide and tour operator based in Huaraz – the heart of Peru. 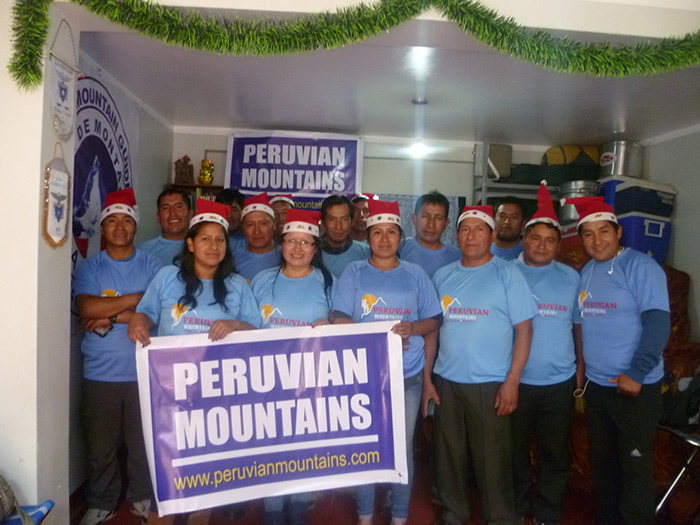 We have more than seventeen years experience in the Andes of Peru as well as in Bolivia, Ecuador, Chile, and Argentina. 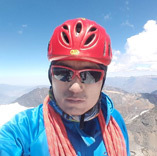 We offer the best adventure travel, trekking, climbing, and mountaineering expedition services in the most beautiful areas of South America. 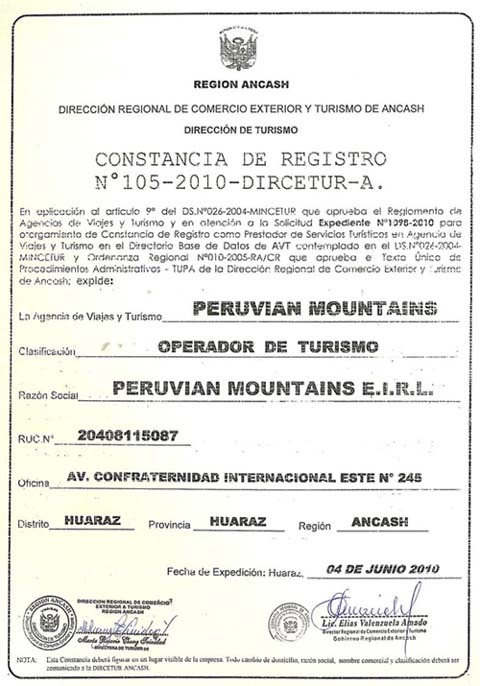 In Peru, these areas include Cordillera Blanca, Cordillera Huayhuash, Cordillera Raura, Cuzco, Machu Picchu, Puno and Arequipa. 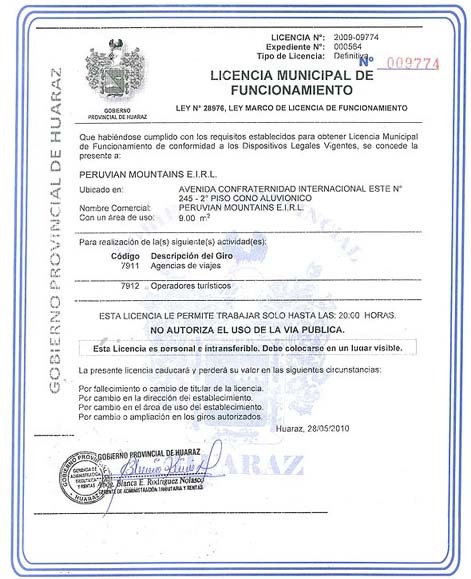 We have now extended our services throughout the Andes to include Bolivia, Ecuador, Chile and Argentina. 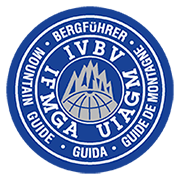 We have the expertise and we will be happy to assist you in all your travel requirements during your trip. 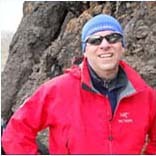 We look forward to being your chosen guide and tour operator for your next adventure, trek or climb. 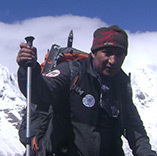 He is professional certified trekking guide with different experiences in the mountains for 20 years. 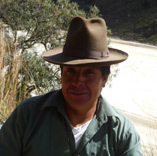 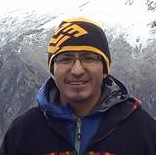 He is responsible, sincere, hard working and a perfect trekking guide for all over the Peru. 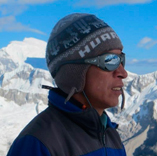 Edgar knows very well the Cordillera Blanca, Cordillera Huayhuash, Cusco as well Bolivia and Chile. 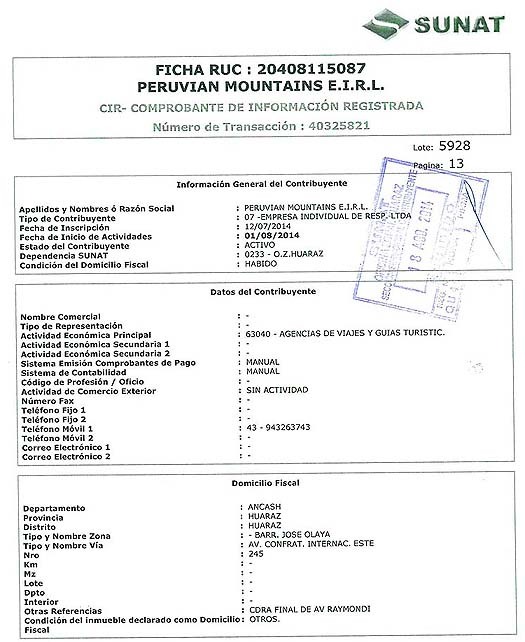 Is determined by the service He did to our valued clients. 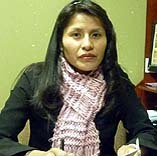 He makes happy to our valued clients in any case with polite, friendly behave and well service. 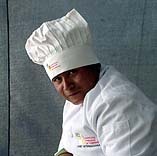 We are sure that he will do his best in his responsibility. 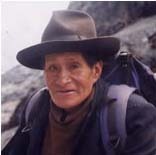 He speaks Quechua, Spanish, English. 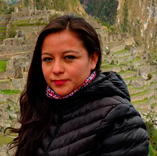 She comes from Huaraz, Certified Professional trekking guide, She studied three years for trekking guide. 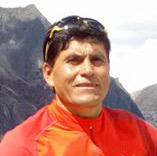 Edit belongs from association of trekking guide AGOEMA – Huaraz. 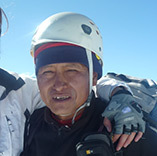 Being very passionate talent person who works as trekking tour guide in Peruvian Mountains. 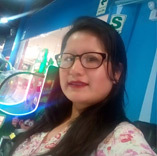 She knows all the route in the White Mountain Range, Huayhuash Range, Cordilleras of Peru so she loves trekking nonetheless, she always manages to satisfy our each and every customer with extraordinary set of skills. 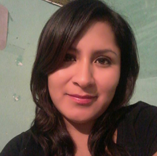 She speaks Spanish, English.